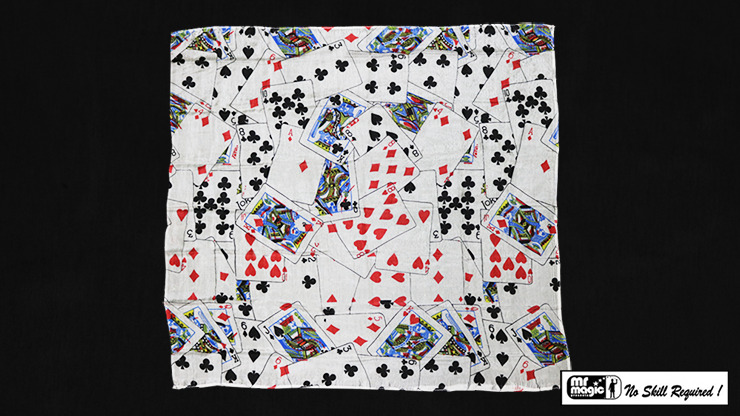 A fine made production silk measuring 21 inches in length by 21 inches wide, decorated with a multi-card print. This silk, when folded, occupies very little space. Magically produce from any production apparatus like 'Mirror Box,' 'Square And Circle,' etc. This silk is provided in a zig-zag fold, ready to use. It really looks beautiful - your audience will love this!